Opponents of the Ridge Road extension are digging in for a battle with Pasco, and if need be, the United States Army Corps of Engineers, over a road that would cut through a portion of the Serenova Preserve. 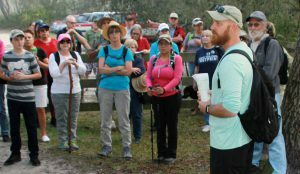 About 75 people showed up in hiking clothes on Feb. 16, to walk trails at the Serenova Tract, at Jay B. Starkey Wilderness Park. It was a Facebook-promoted rally to bring attention to natural habitats that they fear will be lost if Ridge Road is built. “Our concern is fragmentation of habitat and how much the county will pay for the road. It’s a Pandora’s box,” said Josh McCart, a member of the Sierra Club. He also helped organize the rally, sponsored by Save the Serenova Coalition. More than 30 area groups belong to the coalition, including the Sierra Club. Coalition member Dan Callaghan was heartened by the turnout. He hopes it will be an inspiration to others to get involved. As he watches development gobble up large tracts of land in Pasco, Callaghan worries that conservation lands, and wildlife habitats, will be lost. The fight over this road began nearly 20 years ago. Pasco County officials hope for a resolution, and a work permit from the Army Corps, by the end of this year. 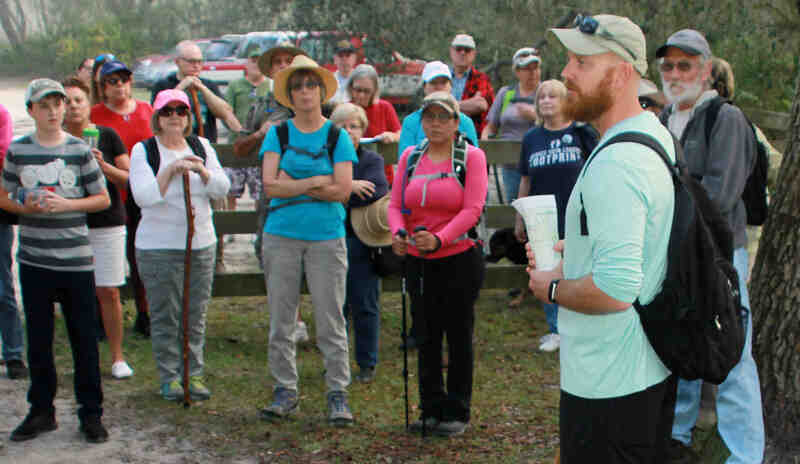 Josh McCart, front right, of New Port Richey, helped organize a walking tour at the Serenova Tract. McCart, a member of the Save the Serenova Coalition, said he posted information on Facebook and was overwhelmed by the large turnout. The proposed project is for an 8-mile extension of Ridge Road, which now dead-ends at Moon Lake Road. The new road would link Moon Lake in west Pasco to U.S. 41 in Land O’ Lakes, across from an entrance into the master-planned community of Connerton. The road is a county priority that would serve as a new east-west evacuation route during hurricanes. Pasco County Commission Chairman Mike Wells Jr. said, via email, that the new route would significantly reduce evacuation times for about 180,000 people who live within that evacuation zone. “The road would also provide relief to people currently using (State Road) 52 and (State Road) 54,” Wells noted. The county has set aside about $40 million toward an estimated $68 million for construction of the first segment from Moon Lake to the east side of the Suncoast Parkway exchange. An additional $2.5 million is allocated for right-of-way purchases. No funds are available, as yet, for the second phase of construction, which would take the road to U.S. 41. That phase isn’t expected to be built until development occurs on land along that portion of the route. The funding of Ridge Road is a sticking point for opponents, who say the county isn’t being transparent on the costs. They peg total costs as high as $150 million. They also object to the monthly fee of about $28,500 paid to Washington D.C. consultants, with Dawson & Associates, to lobby for the road’s work permit. 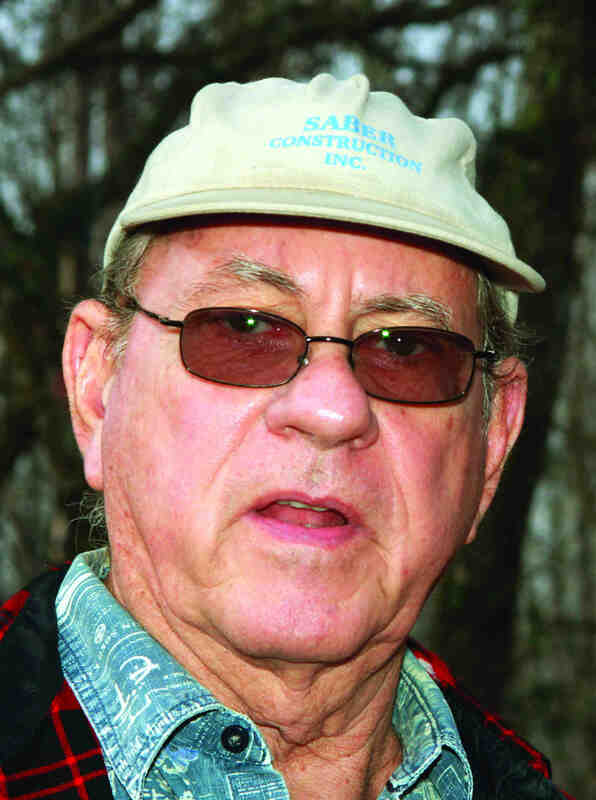 Dan Rametta is an opponent of the Ridge Road extension through the Serenova Preserve. He has worked against the project for 20 years. The project gained new momentum in 2017, as the Trump administration issued an executive order meant to speed up permits for infrastructure projects. Gov. Rick Scott and U.S. Rep. Gus Bilirakis also sent letters of support. Attorneys for the Sierra Club recently submitted an 80-page document contesting the project. The money is what bothers New Port Richey resident Barbara Sullo, who was at the rally. The county needs to fix its flooding problems, which are especially chronic in west Pasco, she said. County data, per Wells’ email, shows that the per capita costs for the 180,000 residents within the evacuation zone, and within 2 miles of Ridge Road, would be about $400 per person. “That doesn’t seem like too much to ensure the safety of our residents facing hurricane evacuations,” Wells said, in his email. 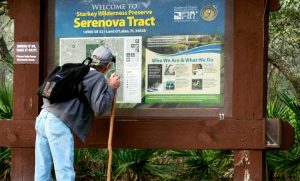 In April, the Corps chose one of 17 proposed routes through the Serenova Preserve as “the least environmentally damaging practicable alternative.” Additional review is being done. The focus is on land that was set aside in a court settlement to mitigate about 200 acres of wetlands lost during construction of the Suncoast Parkway. 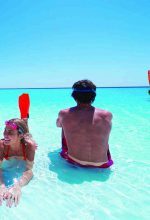 The Army Corps has regulatory authority under the Clean Water Act. Save the Serenova coalition member Dan Rametta said the settlement is being circumvented. “How does a four-lane road keep it in its natural state?” he said. He points to the Ridge Road connection that will link with Connerton, and also will cut through a portion of the Bexley Ranch property. “It’s basically a developer’s road,” Rametta said. County officials said wetlands lost due to the road project will be mitigated through preservation of other lands. About 2.3 acres of wetlands will be impacted, but about 82 percent of wetland impacts have been reduced, they said. And, bridges already built, and parts of the proposed road, are elevated above the conservation land. “You can’t say we haven’t worked through the process to reduce the impact,” Biles said. Save the Serenova coalition members said there will inevitably be environmental losses. “Every time you divide a large parcel up, you diminish the land, the plants, birds, everything,” said Aripeka resident Richard Stauffer. He is a member of the Florida Native Plant Society, which belongs to the coalition. There are concerns among its members about a federally protected plant – the pond spice. Some plants were found in Serenova, though so far not within the proposed construction area, Stauffer said, adding that more research should be done. Sharon Holding, also is a member of the native plant society. She handed out fliers and helped with the walking tour. Rametta said the movement to block Ridge Road is getting stronger. 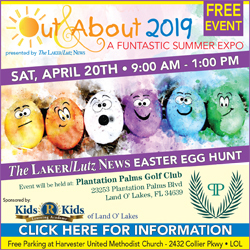 Kathy Steele, Fred Billet and the Laker News all represent one of the most fair, balanced and interesting news media in Pasco County. Thanks for an article that shows what Pasco citizens will lose if the zombie road to nowhere goes through, and how little they will gain in minutes saved going somewhere. In time the traffic will grow, then slow, then stop, especially in a hurricane with bottlenecks at the Suncoast Highway and/or Route 41. And if you live in central or east Pasco, you get to pay for a highway you will seldom if ever use.